Dunwoody Interim City Manager, Two Hotels, Corner Cafe, Construction Update, Starbucks in Brook Run Park, Perimeter Zoning and other tidbits. Special Called Meeting on April 1st - Resolution to Appoint an Interim City Manager. 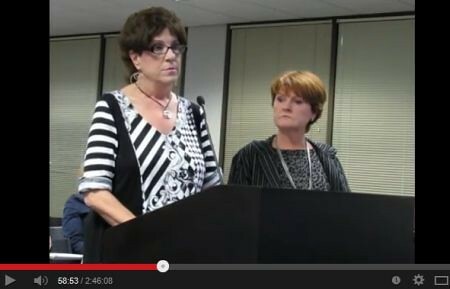 I was invited to this special called meeting of the Dunwoody City Council but there is little or no other documentation available therefore I expect that we will be called into Executive Session to discuss a "personnel matter" and if there is an official nomination by Mayor Davis that we will come out to discuss and approve the action publicly. I have no inside information on this though there are a number of City Department Heads who could easily hold the acting position for several months and/or the position could be filled by a "Loaned Executive" or even a person from the community. 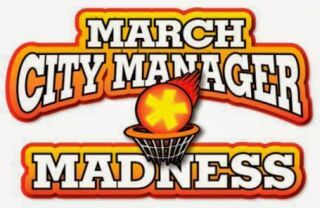 The initial decision is the choice of the Mayor and he may or may not be waiting until the Dunwoody Talk - March City Manager Madness Tournament is complete. Biznow.com Atlanta reports - Hotel Equities plans to break ground this year on a 132-key Hampton Inn and a 124-key Residence Inn. The Hampton Inn will be next to Sterling Point office park off Ashford-Dunwoody Road; the Residence Inn will connect to the current home of the Spruill Center for the Arts. We had a sprawling interview with Hotel Equities' COO Brad Rahinsky yesterday during the Hunter Hotel Conference at the Marriott Marquis in Downtown Atlanta. Brad says Central Perimeter is justifying the additional rooms in large part thanks to State Farm, which has tightened the office market and helped supply not only occupancy increases during the week, but on the weekends as well. Hotel Equities owns the Fairfield Inn & Suites in Sandy Springs, where nightly rates have climbed past $200. Plus, to offset development costs, Brad says it's selling four outparcels at its Hampton site, one already slated for a Corner Cafe. “The revenue that would be thrown off on those outparcels will pay for the debt service,” he says. “[The Hampton] starts cash flowing the day we open the doors. Proposals needed for new concession operator for the Brook Run Skate Park. Does anyone know if Starbucks, Bruster's or Rita's Italian Ice would like to expand into subcontracting a Skate Rental desk? I don't know about you but I would like to see more than just a skate shop serving the park. 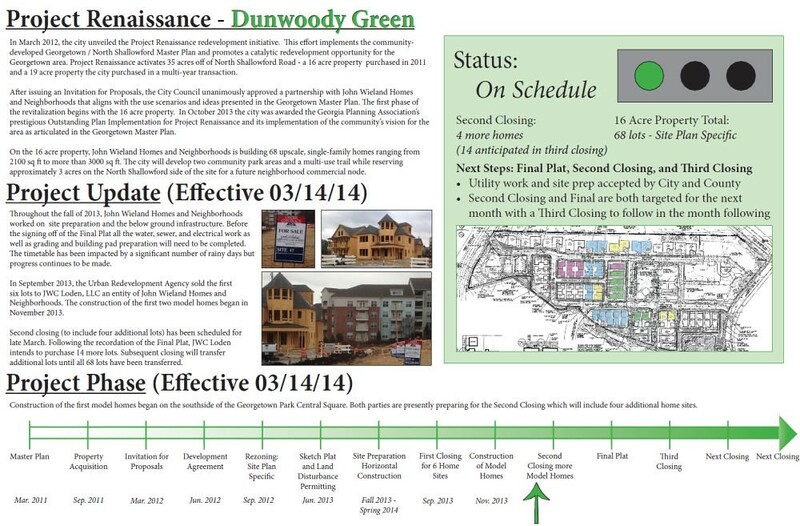 City of Dunwoody starts process to create a new Perimeter Center Zoning District. PCID Crosswalk repairs around Mall and Ashford Dunwoody or Textured Option? State Representative Tom Taylor starts re-election campaign with Sunday meet & greet at Kingsley Swim Tennis. I have an opponent in the Republican Primary election on May 20th. As the incumbent, I am prohibited from campaigning during the Legislative session. Now that the session is over, I am in full campaign mode. I would appreciate your help deploying my campaign signs. Sunday, March 30th, I will be distributing my campaign signs at Kingsley Swim and Tennis Club (2325 N Peachtree Way, Dunwoody, GA 30338) from 2 to 6 pm. Come by, have a cool adult beverage, chat with me issues that concern you, and take home some signs for your yard and your neighbors' yards. If you can’t swing by on Sunday, but have good real estate for my campaign signs, let me know where and how many signs to drop off. My PROVEN and EFFECTIVE conservative leadership have delivered RESULTS to District 79 (Dunwoody and North DeKalb). 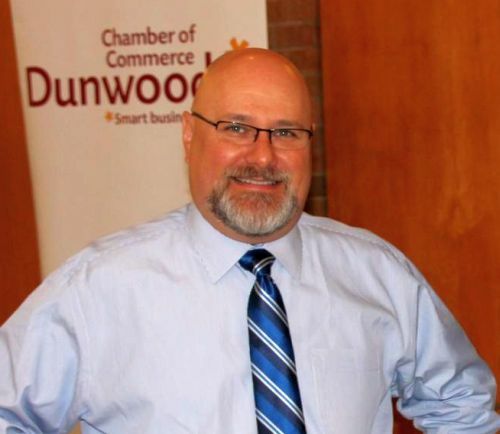 After serving more than five years as the first City Manager for the City of Dunwoody, Warren Hutmacher today resigned his position. Hutmacher moves on to become the new City Manager in Johns Creek but remains in his position at the City of Dunwoody until April 25, 2014. Hutmacher has been with the city since inception and was the first official city employee. Hutmacher’s significant accomplishments with the City of Dunwoody include the introduction of the “split contract service model”, the city’s Project Renaissance redevelopment initiative and the infrastructure investments made over the last five years. The City of Dunwoody operates under a unique “split contract service model” to provide the most efficient and effective services to its citizens and businesses. The model uses private sector entities to provide key municipal services. The city has saved a considerable amount of money by creating a competitive environment for municipal service delivery. Project Renaissance is a partnership between the city and John Wieland Homes on 35 acres within a key redevelopment zone in the Georgetown neighborhood. Project Renaissance adds much needed park space, new single-family homes, a multi-use trail, and future potential space for a City Hall and a planned commercial node to serve the greater neighborhood. 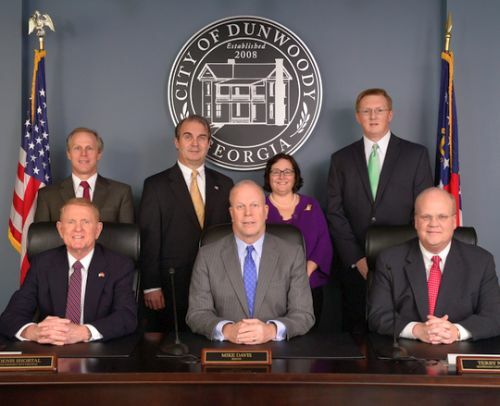 The City of Dunwoody has made significant financial investments over the past five years to pave roads, build and repair sidewalks and rebuild the storm water infrastructure. All of this was accomplished without incurring any long-term debt. Parents of babies - Mark the Calenders. People of all ages visit our parks on a daily basis for athletic sports, playground activities, events, their gatherings and neighborhood activities. Many come to the parks to relax and get away from the stresses and pressures of everyday life. Whatever the reason for visiting our parks, your generous gift of a park bench will be recognized and appreciated by thousands who visit each year. Dunwoody Searching for Additional Municipal Court Judge - no additional cost to city; we just need to spread the work around a bit mote. 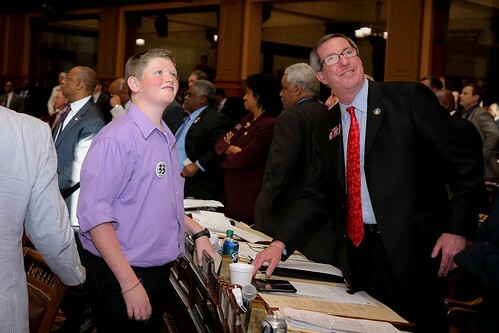 Special thanks to State Rep. Tom Taylor for letting my son Riley work the floor of the House of Representatives. Administer Oath of Office to Officer Jared Bradley. Special Presentation by Police Department. Presentation of Award to Officer Danny Tedesco by the Sons of the American Revolution. Recognition of Officer Anthony "Kerry" Stallings for Earning his Associates in Applied Science Degree in Criminal Justice Technology from Chattahoochee Technical College. Approval of Revision to the Special Event Co-Sponsorship Guidelines to include Food Truck Thursdays as a Premier Level Event. Adoption of Resolution to Amend the 2013 Annual Budgets. 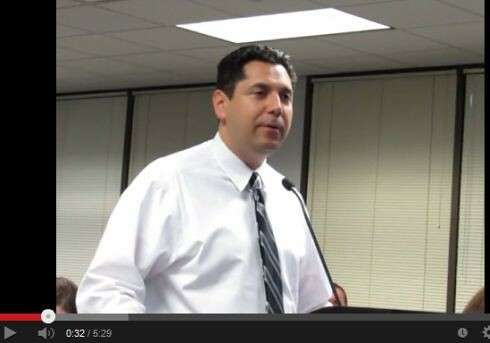 Adoption of Resolution Revising Stormwater Service Fee Rates. 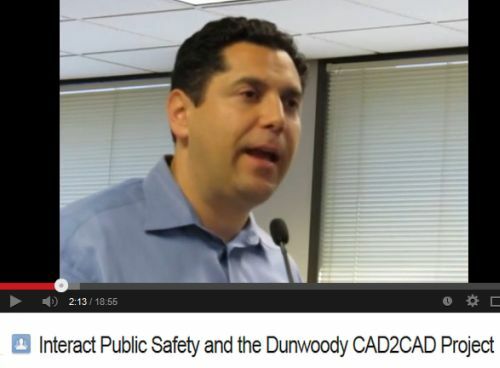 Resolution Appointing a Member to Serve on City of Dunwoody Design Review Advisory Committee. Approval of Award of Standby Stormwater Repair Unit Price Contract. Approval of Contract Amendment for Kimley-Horn for Renaissance Park Design. Discussion of Possible Text Amendment of Chapter 27 re: Special Land Use Permits. Dunwoody Special Land Use Permits - Running with the Land for Home Occupations may not be what we intended? I voted for the zoning rewrite code under the belief that time limits could be put into place if appropriate to do so. Now based on conversations with staff and legal, I am told that we are not allowed to use the time limits that I intended to use on a regular basis in order to protect the long term character of our communities. 143 The current ordinance requires that the city council specify a time duration on all approved SLUPs…at the time of approval. This provision has not been carried over, which means that no limitation would apply unless a time limit is expressly imposed as a condition of approval. Approved special land use permits, and any attached conditions, run with the land and are not affected by changes in tenancy or ownership. 147 This is a change. The current ordinance states that approvals are granted to persons, corporations or other legal entities and allows transfers to others only after application to the community development director. I understand the need for some SLUPs to be tied to the land for example: a multimillion dollar church is given a SLUP to build in the R-100 zoning district and if forced to expire 5 years later it would be unfair for Council to deny the second application. That being said, I question the home occupation Special Land Use Permits being given the same “forever status” without the ability to sunset the activity at some foreseeable time in the future. Use permits and supplemental regulations for Type B home occupations. 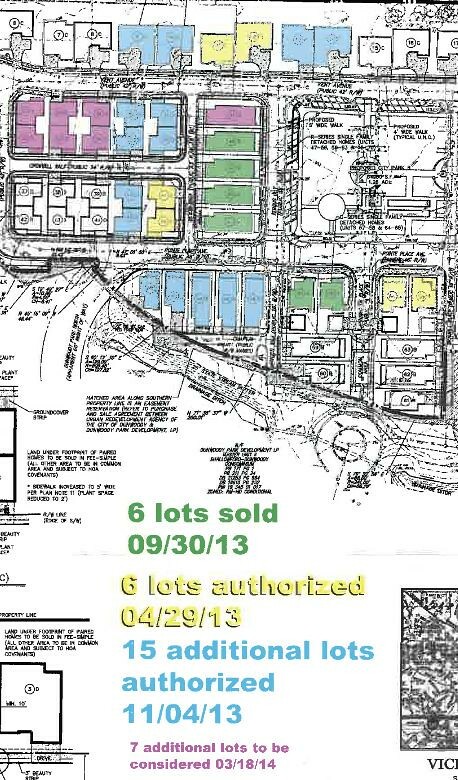 (1) Special land use permit approval required. Type B home occupations are allowed only if reviewed and approved in accordance with the special land use permit procedures of article V, division 3, provided that teaching-related home occupations conducted entirely within the principal dwelling are not subject to the special land use permit procedures, but instead require review and approval in accordance with the administrative permit procedures of article V, division 7. This new SLUP process potentially enables 'spot zoning,' once approval is granted as the SLUP now 'runs with the land,' which means that the variance will stay in place after the property is sold. Thus, one owner can permanently change the intrinsic use and value of their property forever and force all future neighbors to have little or no recourse than to live with the business allowed to exist next door. What if a future owner is not be a good neighbor, or may seek to expand operations causing adverse impact on neighbors; there is little legal remedy other than code enforcement. What if there are five SLUP's in a row on what is now a residential main street, would that then be a quasi-commercial zone? I am told that one interpretation of the current Dunwoody ordinance (maybe Georgia Law?) is that once a SLUP has been granted for a home occupation, it is forever tied to the land and cannot be taken away without evoking eminent domain of a regulatory taking. I am told that there is no process in Georgia by which a SLUP can be removed through automatic operation of law or a condition placed upon it. I have reviewed other administrative options in Dunwoody besides a Special Land Use Permit, including Variances, Special Exceptions and Administrative Permits and all currently run with the land with different decision makers being the main difference. I am confused as to why the City of Atlanta and others have Special Permits tied to the applicant and allow a sunset clause to be enacted, as we had previously, yet we are now told that we need to tie SLUPs to the land with no sunset clause allowed? Was there a State Zoning Law change that we have adopted based on our rewrite that other Cities have not? I have asked our Planning Director if a Text Amendment could be drafted to not tie Home Occupations to the land and/or to allow a sunset clause? After watching the video of the March 11th Planning Commission discuss our first SLUP application since the rewrite and in reading the final recommendation; I am interested to know if their recommendation of Approval with a sunset clause tying the approval to the applicant (not the land) was a sound recommendation based on a legal interpretation in which they may not be aware? If an interpretation of Dunwoody Code would not allow time limits, should the Planning Commission hear this matter again before it reaches the City Council so that a proper recommendation can be given? I am interested in discussing this further with my fellow Council Members, Staff and our legal team in an open forum and have asked that it be added to the March 24th, 7 pm Dunwoody City Council Meeting. 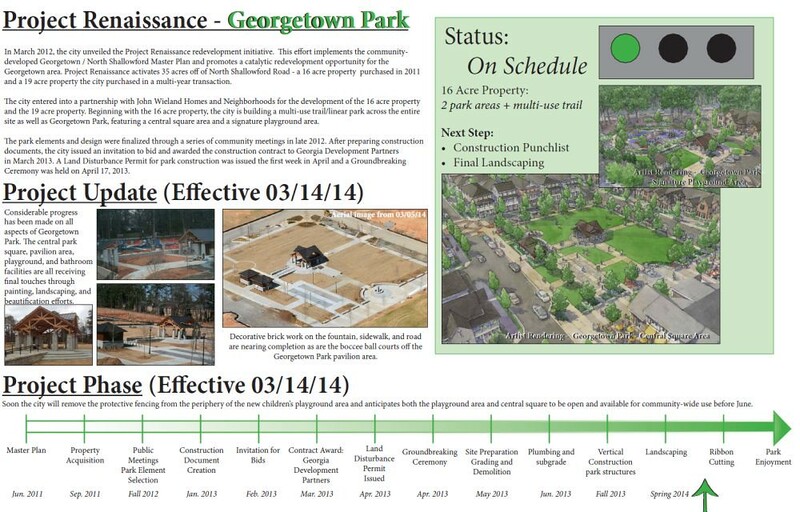 Dunwoody Green and Georgetown Park are moving along on schedule. Questions - Is Dunwoody working towards Google Fiber, what are you doing about gravel in streets, unkept sidewalks, See Click Fix, Crosswalks, steel plates? Hope you are doing well. I am sending you this email with a few topics that I would love for the city to look into. Google Fiber is potentially coming to Atlanta and surrounding cities. I was surprised to see that Dunwoody was not currently one of those cities. However Sandy Spring and Brookhaven are included in their plans. This is based on the fiber.google.com website. Is the Dunwoody city council working with Google to get Dunwoody included in the Google Fiber expansion plans? Answer - Barney, Yes we pushed hard for Google Fiber, we applied in 2010 with neighboring cities whereby they were picked and we were not. We too were surprised but we have the capability of moving very fast if they want to expand but until then we will be watching the process and learning what we can. Over the past few years I have pleasantly seen the city expanding bike lanes and side walks. 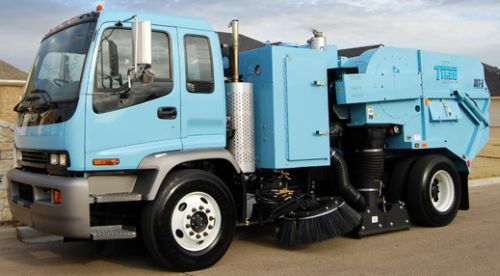 This also comes with the responsibility to ensure those bike lanes and side walks are maintained and clear of debris. Following this winter, gravel and debris are covering many of the bike lanes forcing riders to travel outside those lanes and/or at time forcing them to swerve at the last minute. Answer - Barney, I do not have details but the Public Works Director stated on Monday that the Streets of Dunwoody will be swept in the coming weeks. Look for a vehicle like above on your streets soon. I have also observed side walks sections on North Peachtree and Tilly Mill road being over grown with grass or other plants/debris and trees not being trimmed forcing pedestrian to potentially step off the side walk. Answer - Dunwoody acts on a customer driven complaint system for code enforcement and then once in a while we will do sweeps looking for a specific issue like making sure the sidewalks are clear. I will reach out to code enforcement (not taking for granted that they are daily readers of my blog - but they are) asking if a sidewalk sweep could be done on the major jogging routes in the city. I also highly recommend the See Click Fix app for your smart phone where city complaint like above can be logged in seconds with a photo and gis location. Please try it. As you know I am still hopping that the city will realize the need to help pedestrian cross our streets safely by adding cross walks in areas where they don't exist today. 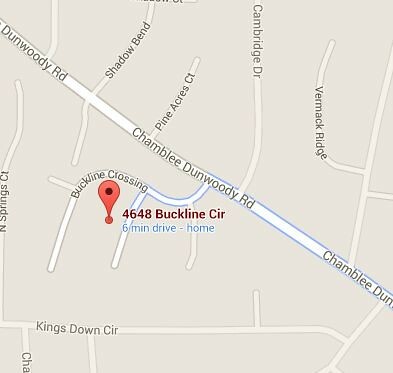 Tilly Mill between city limit and before Andover, North Peachtree by Brookrun park to name a couple. Answer - Barney the city does realize that crosswalks are needed and I am looking for lit crosswalks in specific places and in critical locations where there are no traffic lights. An independent study on crosswalks near schools should be out any day and I will be reaching out to council to fund those improvements as soon as possible. The City has recommended the crosswalk on Tilly Mill be located near Stonington because of the sight lines and hill but the problem is that the street at that point is in the City of Doraville and we (the two cities) have yet to figure out the funding mechanism as we (Dunwoody) are not allowed to pay for a capital improvement in another city even though 100% of the crossings would be Dunwoody residents. A crossing at the front of Brook Run also makes sense and I will ask staff to analyze but that entire area will be redesigned in 2015 with the reworking of the Nroth Peachtree, Tilly Mill, Peeler intersection. Lastly we continue to have utility work on main streets that go unfinished for weeks with metal plates and pot holes. On Tilly Mill past Peeler road two metal plates and a major pot hole (was filled in with gravel yesterday) have now been there for weeks. Past reasons for those have been that the city, to save money, was coordinating paving of utility work in groups. Utility work was paved on Tilly Mill by Perimeter college last week but not by Peeler road, a mile away. Answer - Barney I don't have the best answers for you except that the City of Dunwoody only controls the top 8 inches of asphalt on the roads and most things below that depth are controlled by DeKalb Water & Sewer or another utility (Natural Gas comes to mind today). They do the work they need to do and when told to do so we repave when appropriate. Sometimes there are scheduling issues or with the big metal plates being in place, the work under ground is on going. I will see if I can get specific updates on the streets in question. Boy Scout Drew Cottle proposes a Boy Scout Day with activities and an overnight campout for all Dunwoody scouts in Brook Run Park. When the City started I pushed for public comments to be made at three times during our meetings, up to thirty minutes at the start, up to thirty minutes at the end and the availability to comment on items that were amended by Council from what was published on line that we were about to be vote upon. I truly enjoy the citizen comments at City Council meetings as they provide me the opportunity to hear what is on the minds of the community directly from those who are brave enough to stand at the podium. There is no hiding behind anonymous blog comments but there may appear to some from time to time to be downsides but I wouldn't want to change the practice we currently have in place. Boy Scout Drew Cottle from Boy Scout Troop 477 based out of Kingswood United Methodist Church along with other scouts visited Monday's Dunwoody City Council Meeting to fulfill requirements for his Eagle Scout Required Merit Badge, Citizenship in the Community. 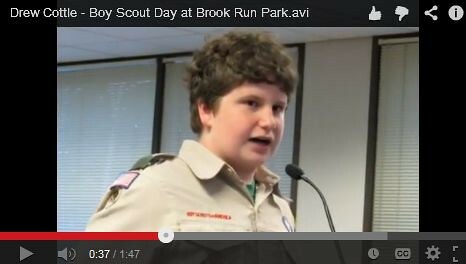 When the attendees of the meeting were offered three minutes to address the Council, Drew stepped to the podium and requested that the City allow a Dunwoody Boy Scout Day at Brook Run Park for all Dunwoody area scouts to gather as a cohesive group, attend scout activities & workshops, provide public service by cleaning the park or doing specific projects and then be allowed the special privilege to sleep overnight in Dunwoody's largest natural facility. Kudo's to young Mr. Cottle for standing at the podium and putting forth an idea that I believe has merit. Something tells me that I will be sleeping in the park one night this summer? Bake Sale / Lemonade Stand for Dunwoody Elementary Teacher Jenn Mattison set to defray Adoption costs. Awhile back I posted about my friends Jenn & Brett Mattison who are looking to adopt and are saving money to go through the process, today a DES family has announced that they will be holding a bake sale / lemonade stand to assist them on their journey. If you would like to donate baked goods or a jug of lemonade, please sign up to do so at the the link below. Mark your calenders for March 23rd and follow the motto that I try to live by... Never pass a children's lemonade stand without stopping. City of Dunwoody starts application process for resident appointment to municipal board, commission, or committees. Application, available board positions and current members. 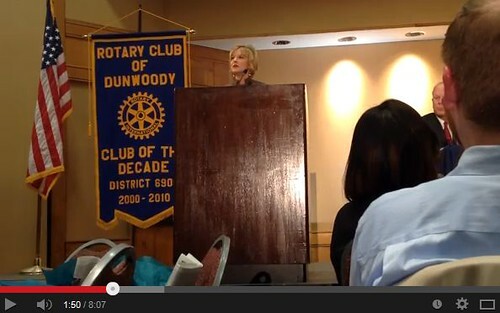 The City of Dunwoody believes that citizens bring valuable insights and are a skilled resource in our community. The Mayor and City Council encourage all citizens to consider becoming involved in the city government by serving on a Board, Commission, or Committee. To be considered for an appointment to a municipal board, commission, or committee, please complete and submit the application (linked above) and send it with a resume to the City Clerk, Sharon Lowery. Applications and resumes may be submitted by e-mail to sharon.lowery@dunwoodyga.gov, by fax to (770) 396-4705, or by mail to 41 Perimeter Center East, Suite 250, Dunwoody, GA 30346. PS: Urban Redevelopment Agency position needs to be filled - please apply. 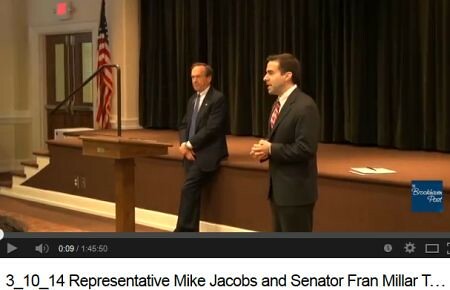 The Marcus Jewish Community Center of Atlanta could adopt the song “Old Friends” by Simon & Garfunkel as its soundtrack. It is the “old friends” who have come together once again to raise $6.8 million of the Center’s $7.5 million campaign since November 2012 to reinvest in the 52-acre facility that serves about 55,000 individuals a year. H/T - Saporta Report is daily must read. I am writing this letter in hopes that your assistance may improve an exceedingly frustrating and disappointing experience my community continues to have with a project we are working on with your firm. As a matter of background, in October 2011 the City of Dunwoody transitioned 911 calltaking services from DeKalb County to the Chattahoochee River 911 Authority (ChatComm). ChatComm provides call-taking and police dispatch but DeKalb County continues to dispatch fire and emergency medical services. Prior to the transition, we embarked on project to connect these two 911 centers through a CAD-to-CAD interface between OSSI Sungard (CAD provider for Dunwoody and ChatComm) and InterAct Public Safety (CAD provider for DeKalb County). All major development on the interface was completed in early 2012. It is now March 2014 and we continue to face delay after delay in testing to complete this project. The testing phase of the project has been a disastrous set of failures. The Mayor and City Council are furious that this process has taken several years and is still incomplete. My staff and I have run out of answers as to why this project has been ongoing for nearly three years. The public pressure has mounted to get this project completed to levels I haven't seen in my 17 years in local government. Frankly, the reputation of the City, our service providers and the vendors responsible for completing the job has suffered mightily. Every missed expectation and additional "bug" in the interface that prevents the system from working properly is growing the discontent astronomically. A center-to-center testing call at the end of February revealed four final challenges from the CAD system update that was completed in February. Following the testing call we launched an action plan to address each of the issues identified and are making steady progress. One issue relates to fire response zone mapping and staging. As part of the CAD update, an outdated response zone map had been connected to the interface. Rather than staging units from the nearest Dunwoody station, for certain parts of the City, the system was suggesting dispatch from stations further out in the surrounding area. To correct this issue we had to review the code, locate the outdated response zone map, and replace it. The second relates to how incidents on Interstate 285 displayed once transferred to DeKalb. We determined that because these incidents are shared with cross streets (such as I-285 Eastbound / Ashford Dunwoody), the issue was that the"/" character was not transferring correctly. To address that issue, the developers are making additional code changes so the "/" character would be properly translated. 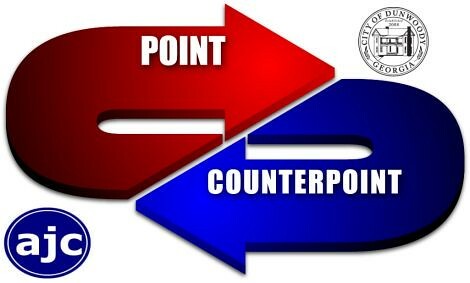 The final two issues relate to the transference of certain determinant codes from ChatComm to DeKalb. This issue will be addressed by updating the translation table which connects the two systems. We are working with the developers to determine how long these final changes and updates will take. All the key parties in the project are focused on the decisive steps for completion so we can surpass the industry standard for call transference. In recent days, Council has requested clarification related to the development of the interface. First, regarding who is developing the interface and secondly related to the ability to outsource that development. Unlike a traditional software project, the City has not hired a software vendor to write code and develop the interface. The interface code is developed by the two CAD vendors. One of which is under contract with DeKalb County and the other under contract with ChatComm. There is no technology vendor that is responsible to the City on this project. Secondly, it has been suggested that a third party could connect these two disparate CAD systems and develop the interface in a manner that was more efficient. Early in the process the City explored this option. We found a third party software vendor that agreed to develop the interface but the two CAD vendors would not agree to the arrangement. Utilizing a third party developer would have allowed each CAD vendor's proprietary code to be held by a third party and they did not feel comfortable with any level of confidentiality agreements. Both of these issues highlight the fact that had we been allowed to utilize a third party software vendor, we would have had a party beholden to us to complete the interface. As it is, we have little leverage over the two CAD system providers building the interface. We are forced to allow the two vendors to work together to build the interface using a software requirements document they jointly developed and to which they jointly agreed. steps needed to reach completion. Dunwoody Mayor Mike Davis presents the State of the City with keynote by Julie Bolton of State Farm on their future operations. The quality of the sound is lacking but turn up the volume and it is understandable. Only candidate in District 1. 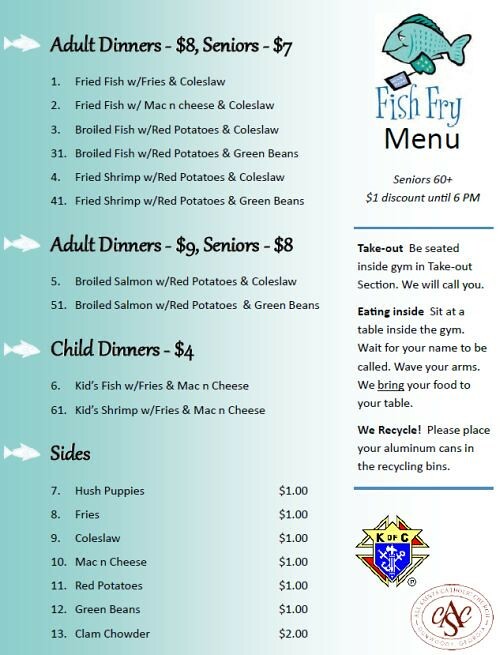 All Saint's Fridays Fish Fry starts tonight and runs through April 11th - I highly recommend !!!! 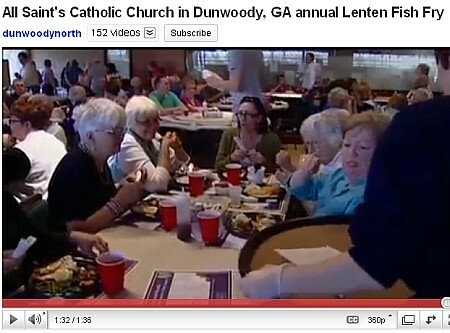 The Knights of Columbus, Council # 11402, where I am a member, based out of All Saint's Catholic Church in Dunwoody, GA serves the “WORLD FAMOUS” FISH FRY offering over 1,000 dinners every Friday night during Lent with tonight being the first Friday offering and the last will be April 11th. Adult meals are $8 (except salmon $9) with child meals only $4. The "early bird" one dollar pricing discount for seniors 60+ on every senior meal will again be honored from 5 PM to 6 PM. Being in line at that time will also ensure the senior discount. Kids meals are again only $4. A special takeout line will be featured as in the past. All profits go to our many Knight charities. Join the fun, bring your families and friends, and help us break our amazing record of 1,300 meals served in one evening. Fried & baked cod, baked salmon, & fried shrimp with coleslaw, green beans, red potatoes or fries, and hush puppies complement meals. Special Knight recipe clam chowder at $2 per bowl. Numerous desserts & adult beverages too. One big improvement will be the acceptance of credit cards -- Visa, Mastercard, American Express, and Discover. We hope this will speed up the waiting lines and be a big convenience to our customers. Cash and personal checks still work also. Proclamation Recognizing the American Red Cross Month and Centennial. Discussion of Dunwoody Arts Festival Planning. FIRST READ: Amendments to Chapter 8, Buildings and Building Regulations. Discussion of Food Truck Thursday Sponsorship Level. Discussion of Purchase of the Final Segment for Phase III of the Multi-Use Trail. Discussion of Standby Stormwater Repair Unit Price Contract. Discussion of Final 2013 Annual Budget Amendment. Discussion of Revising Stormwater Service Fee Rates Based on an Inflation Index. 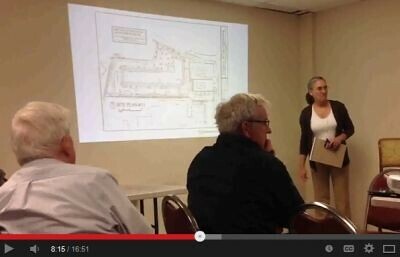 Discussion of Design Contract Amendment for 19-Acre Park. Discussion of Appointment of Member to Serve on City of Dunwoody Design Review AdvisoryCommittee. Discussion of Long Neck Trash Receptacles. Discussion of Proposed Amendment to Dunwoody Comprehensive Transportation Plan. Center Lane of Mount Vernon - should it be removed from plan? 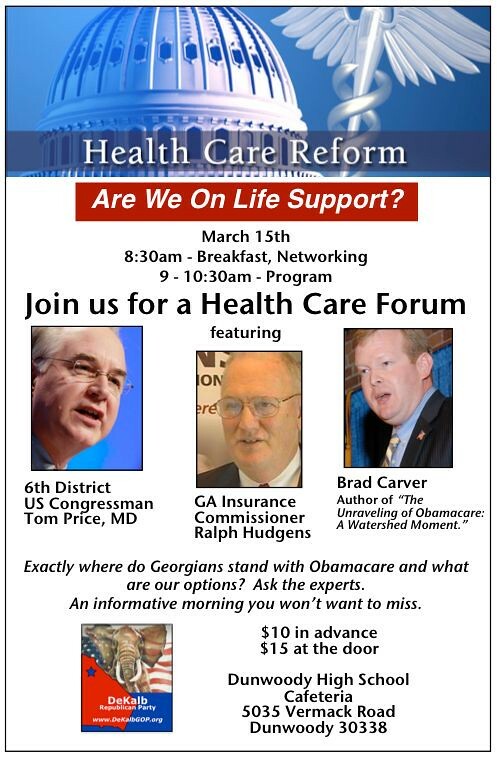 Congressman Tom Price, M.D., Georgia Insurance Commissioner Ralph Hudgens and Author Brad Carver discuss the future of health care in Georgia. I do not believe I had the pleasure of meeting Mr. Pardue but I know he served on the Dunwoody Urban Redevelopment Agency with Former Mayor Ken Wright and by reading his obituary I know he served his country with distinction. The memorial service is scheduled for Saturday. Don Pardue was determined to memorialize as many Vietnam veterans as he could. An Army veteran himself, it didn’t matter what branch of the military. Pardue believed all service should be recognized. Pardue was known among his Vietnam buddies as the Air Marshal because he was the guy who arranged flyovers, said Wayne O. Witter, a friend and fellow veteran. “He worked closely with the 92nd Air Wing over at Dobbins (Air Reserve Base in Marietta),” Witter said. “And he could time those things just right. He could coordinate down to the second. I wouldn’t be surprised if he’s helping God time the flights of the angels,” Witter added with a laugh. 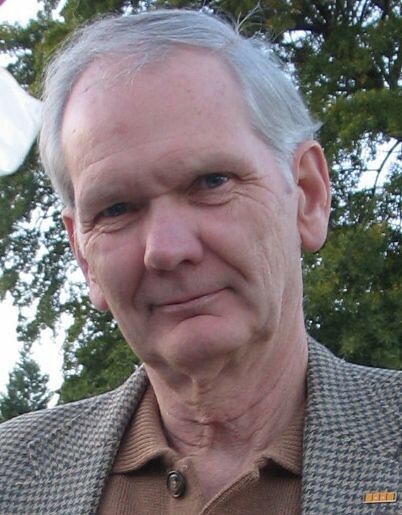 Donald Bryant Pardue Jr. of Dunwoody died Sunday from complications of pancreatic cancer. He was 68. A funeral is planned for 11 a.m. Saturday at Dunwoody United Methodist Church, followed by burial with military honors at Arlington Memorial Park. Pardue was drafted in 1967 while taking time off from college to earn money to pay his tuition. He was accepted to officers’ school and landed in Vietnam in July 1968 as a lieutenant. Two months later he was severely wounded, shot in the chest, and within weeks was shipped home with a bullet in his lung for life. 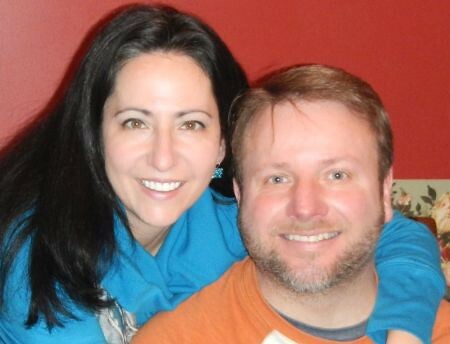 He returned home, married and earned a degree at Georgia State University. Don and Cindy Pardue married in 1970 and raised two daughters together while he established himself as a real estate appraiser and became a successful businessman. Pardue also co-founded a group that would help change the image of Vietnam veterans. In a 2000 interview with The Atlanta Journal-Constitution, Pardue said returning veterans were scorned and unappreciated. “It was very sad, depressing and disappointing for sure,” he said at the time. “But I think that’s changing.” The change included the formation of the Atlanta Vietnam Veterans Business Association, which was established on Veteran’s Day in 1981. It started with a group of friends who gathered to toast their fallen comrades, but it turned into an organization with more than 250 members. Witter said Pardue took immense pride in helping with the memorials. The group has established a number of memorials for native Atlantans who fought and died in Vietnam. “He had a very intense need to make sure people’s stories were told,” Brener said of her father. In addition to his wife and daughter, Pardue is also survived by another daughter, Stephanie Pardue of Atlanta; a brother, Bill Pardue of Marietta; and one grandson. 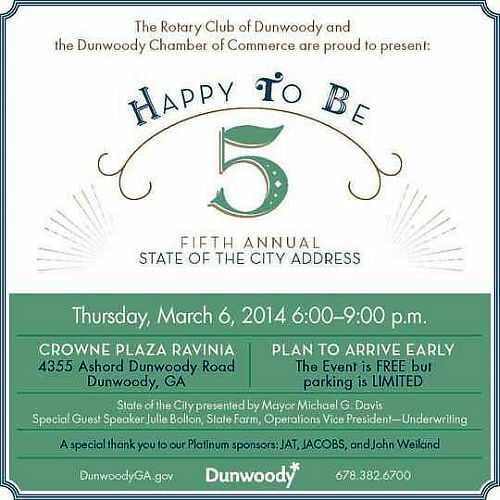 The City of Dunwoody, the Rotary Club of Dunwoody, and the Dunwoody Chamber of Commerce are proud to announce the fifth annual State of the City event! The State of the City is the premier city sponsored event showcasing our accomplishments from 2013 and provides a look ahead into the future of Dunwoody. This year we also celebrate a milestone birthday, our 5th year as a city! We invite you to come celebrate with us, and not only wish a happy birthday, but another successful year in the City of Dunwoody. The State of the City is being held at the Crowne Plaza Ravinia, 4355 Ashford Dunwoody Road and begins with a public reception at 6 p.m.
Join the Dunwoody Community in congratulating our OUTSTANDING educators at the 2014 Teacher of the Year breakfast. 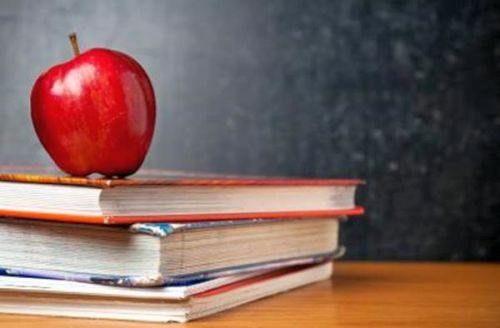 Dunwoody will recognize one teacher at each of the 5 elementary schools, Peachtree Middle School, and Dunwoody High School that continuously goes above and beyond to meet the needs of their students. 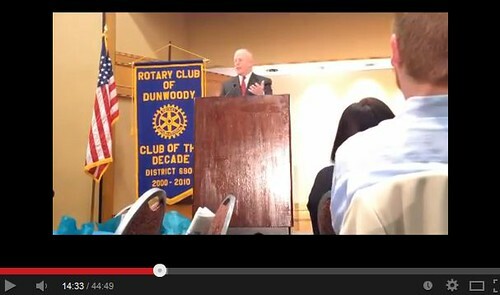 Dunwoody Chamber of Commerce plays matchmaker with student internships. Walton Communities plans to build a 120-unit, four-story senior apartment complex in Dunwoody’s Georgetown community. Representatives of the apartment company described the Legacy at Georgetown project to members of the Dunwoody Homeowners Association on March 2 during the organization’s monthly board meeting. The project will be presented to Dunwoody’s community council on March 13, to the city’s planning commission in April and to Dunwoody City Council in May. If approved, work on the project could begin next year and the complex could open in 2016, company representatives said. The apartments, to be located on 3.4 acres at Old Spring House Lane and Chamblee-Dunwoody Road, would be limited to occupants aged 55 and older, Walton Communities development manager Matthew L. Teague told DHA members. The complex would be located behind the existing Waffle House on Chamblee-Dunwoody and would help connect nearby neighbors to the Georgetown Shopping Center, Walton Communities representatives said. Come shop for great deals on childrens clothing, bedding, costumes, games, electronics, toys, furniture & more. All proceeds benefit our missions ministry. Deadline for seller registration is March 14 at 5pm. 51 days until Dunwoody Lemonade Days - sponsors needed. 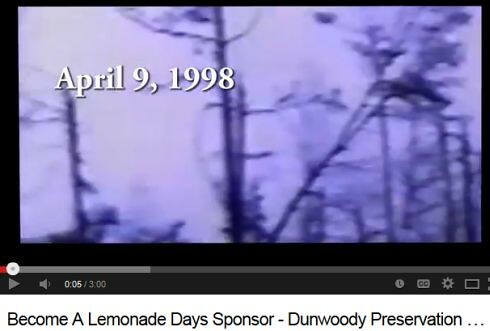 On April 23-27, 2014 Dunwoody Preservation Trust (DPT) will host Lemonade Days, its annual fund raising event. Lemonade Days 2014 will again feature the same format that we have enjoyed for the past few years. This year we plan to continue our extended carnival hours, add rides, diversify more broadly the food choices and add new activities. This new schedule has been developed based on community feedback to allow families more flexibility in planning their participation. We expect to have outdoor activities including amusement park rides, games, food vending and other individual and family activities Wednesday and Thursday from 4 to 10:00 PM, Friday from 4 to 11 PM, Saturday from 10 AM to 11 PM and Sunday from 12 to 6:00 PM. Additionally there will be a face painting booth and a petting zoo on both Saturday and Sunday. 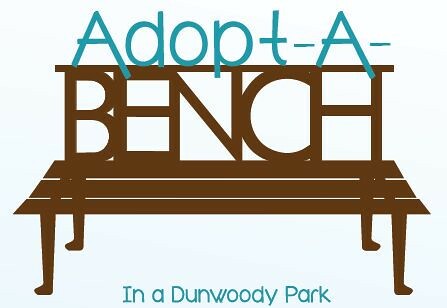 The Dunwoody Preservation Trust’s corporate partnership sponsorships create programs with local Dunwoody/North Atlanta impact. We work with each partner to design an integrated marketing strategy that addresses their objectives by providing them many benefits, including positive public relations and increased goodwill, brand loyalty, and a company investment in the preservation of our history and heritage. Lemonade Days is one of the City of Dunwoody's highest visibility events and we, as always, are planning to ensure that our Sponsors have maximum exposure by using a variety of promotional vehicles before, during and after the weekend. Enclosed is information on sponsorship options and benefits, a summary agenda of the weekend and an update of what Dunwoody Preservation Trust has accomplished on behalf of preserving our history. Also enclosed is insight on how the funds raised through this year’s event will be utilized.